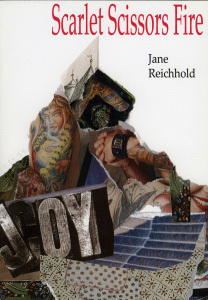 Welcome to Jane Reichhold's world of poetry that will make you say, "Ah ha!" as you discover and explore the many short form genres of poetry. May your time on this site be blessed. Thanks to Maya for finding a better home for all the work so many did with the translation. 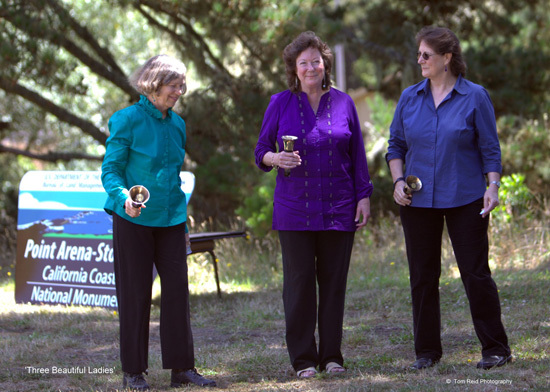 Gail Thompson, Jeanne Jackson, Linda Bostwick (l-r) in the performance with bells and haiku (written by Jane Reichhold) at the Point Arena-Stornetta California Coast National Monument celebration on July 20, 2014 in Point Arena. Thanks to your good wishes and prayers, my tail bones are knitting nicely so that I have been able to exchange the walker for a cane. However I still do not have the ability to sit in a chair for as long as it would be necessary to compile an issue of Lynx. We do have a full issue! So, Werner and I have decided we should skip the June issue of Lynx to try for the October one. This is the first issue we have missed in 24 years, so it is with great regret that we ask your cooperation with this. Please hold your submissions until we do get an issue out. All the materials accepted for the June issue are now being held for the October issue. If this a problem for anyone, let us know so we can work it out. 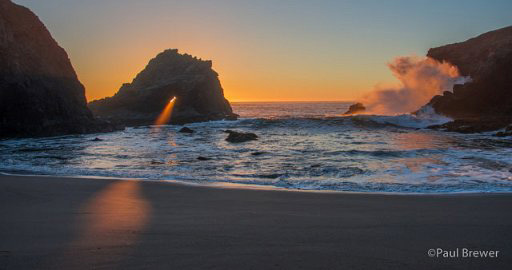 On Tuesday, March 11, President Obama signed into being the Point Arena -Stornetta National Preserve. That is about 12 miles up the road from us, but this is just across the road. 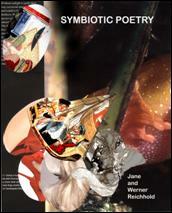 As a backup and a reinforcement to the idea that we need a new term for the poetry inspired by or based on genres from other cultures, Jane and Werner Reichhold have compiled works that prove the richness that results from symbiotic poetry as already represented through their magazine Mirrors and then from Lynx for over 20 years. Here you can discover and read poetry freed from imitation but still closely inspired by other cultures that appear mixed in startling ways. Poets and writers will be stimulated by the combination of solo works from these two authors plus the unification of their poetry, creating a new kind of multi-genre, multi-media anthology. List Price: $14.00, 7.5" x 9.25" (19.05 x 23.495 cm), 282 pages, 2014. The October issue of Lynx is now online. Thanks to every one who contributed to making this such a special issue. You can see more photos from the event. 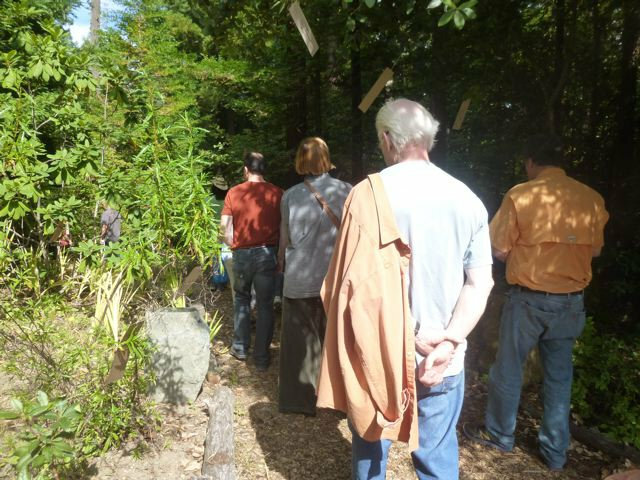 as part of the Mendocino Music Festival, they had a celebration of the ocean with shakuhachi music and haiku. and you can attend the event by going to YouTube. for the sale price of $16.20. The new issue of Lynx is now online. 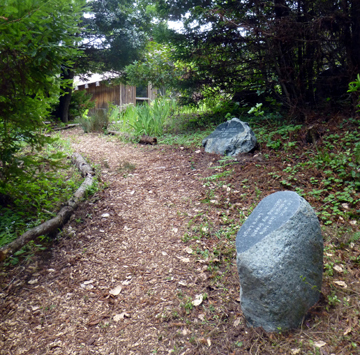 Thanks so much to everyone who contributed and do check out those new haibun-renga in the collaborative poetry and read all about them in the article by Jan Foster! in 1993 and now is out of print. You can read or download it. My newest book, just out. 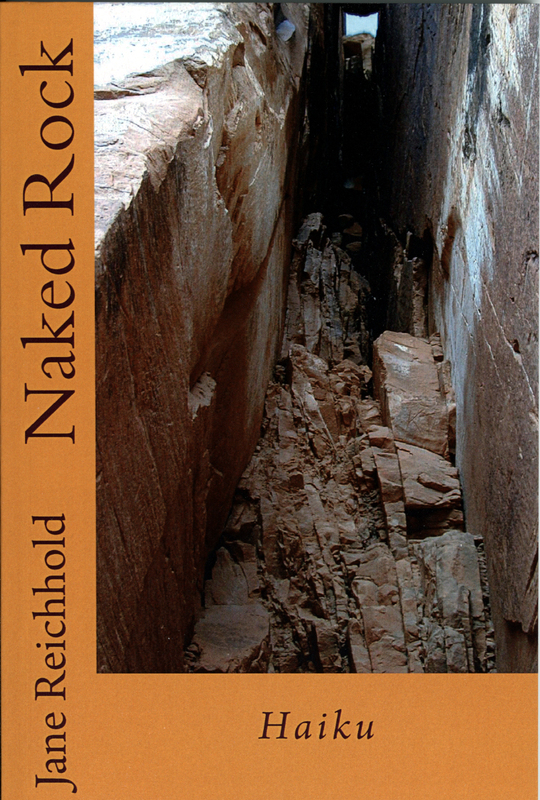 It contains full-color photographs of rocks I have met, shot with a camera, along with the haiku I wrote for them. The book is available through Amazon,com and the European Amazon web sites. The Brautigan Library just got a new book. It is Messages to Heaven and Back by Tosha Champion.You can find all the books to read here. is now available for your viewing pleasure. Thanks to everyone who made this such a very huge and special issue. and THANKS to everyone there who contributed so much work to this effort. You probably hadn't noticed, but someone hacked into the site and wiped out the index to the book list in the Bautigan Virtual Library. I just got it back for you. Twenty years we've published your poems. Many thanks for loaning them to us. It has been a great joy! This is our biggest issue ever! Continued Thanks to every One who contributed. has emerged from the snow for your reading pleasure. Thanks so much to everyone who loaned their work to make this such an exciting issue! is open to you! Thanks to everyone who contributed! 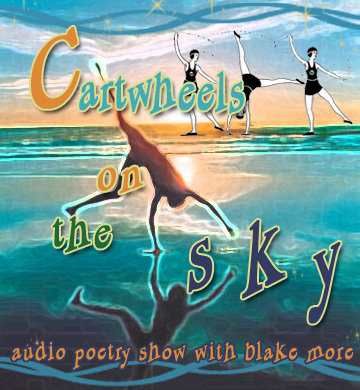 Blake More did a radio interview with Jane on July 7th, 2011.You can access it at http://www.ladybuglive.com/cartwheels.htm with a Windows Media Player. Thanks Blake for so much fun! and all you do for poetry. 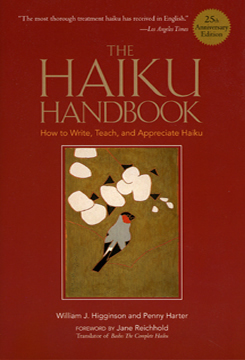 Here you will find, can click on, download, print or save 14 lessons on how to write haiku. If you have been unable to really understand this poetry form, surely these lessons will help you. 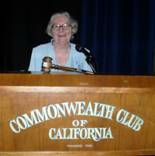 Tonight, March 28, I will be Blake More's guest on Womens' Voices on radio station KZYX 90.7 Philo at 7:oo pm. We will be taking calls the last 20 minutes. You can hear the interview on the web. 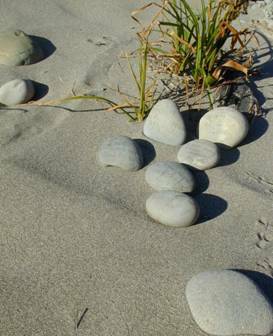 The ukiaHaiku Festival contest ends March 11 so you can still enter. February issue of Lynx is now up for your reading pleasure. Thanks to everyone who contributed to this great issue. Truly, it has many delightful surprizes. 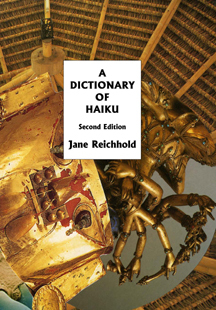 Just added Janick Belleau's contributions to Those Women Writing Haiku in Chapter Four. You can read the talks Women and Haiku in French, Thematic Evolution, talk for Haiku Canada, 2008 and Canadian Haiku Women and Inner Thoughts; talk for Haiku Canada, 2009.
an 8 x 11 coil-bound book of 118 pages. 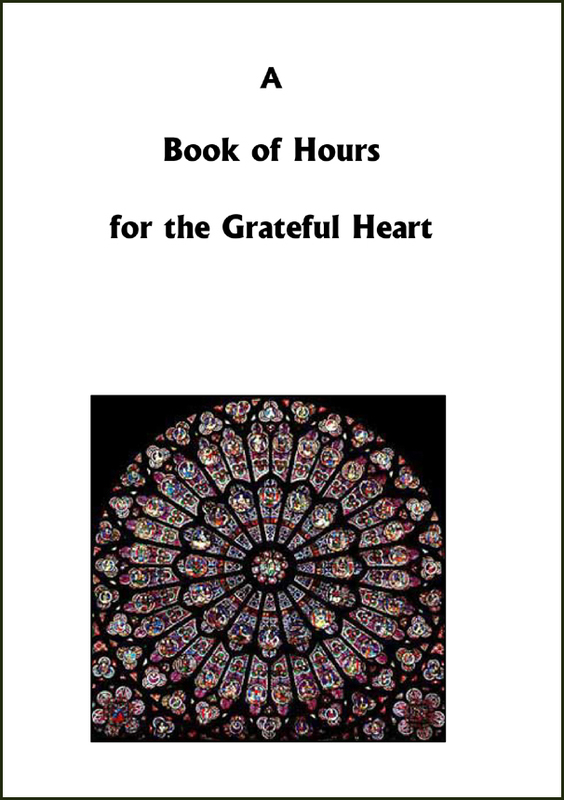 It is like a workbook so that the prayers are completely individualized with your concerns and your friends and family. Because doing the Liturgy or Divine Office usually involves the use of the Psalms, Jane found she could not pray them because of the ideas of violence and retribution given to the idea of God. Also knowing that the Psalms are some of the most magnificent poetry, she set the lines free of chapter and verse to return them to being verses as they were intended. 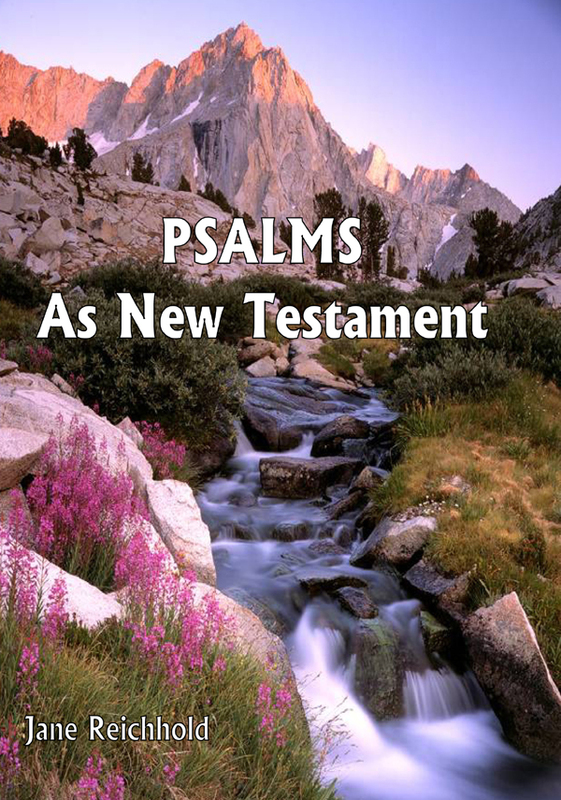 In Psalms As New Testament God is returned to the New Testament idea of being loving and compassionate part of our lives. is now up for your viewing pleasure. Thanks to everyone who contributed to making this a very special issue. 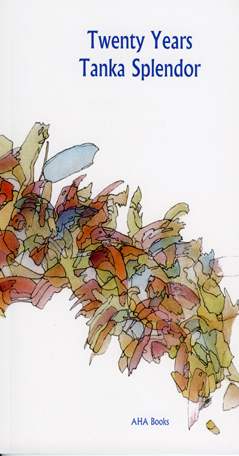 Symbiotic Art, Book 2, by Werner Reichhold, 2010. 8,5:11", 96 pages,77 pages in full color. ISBN: 978-0-944676-88-2. $ 25,- post paid. 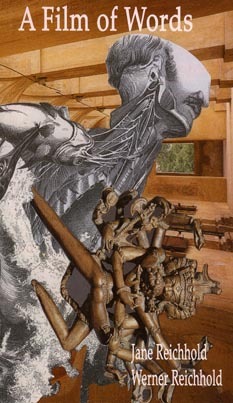 This second book represents a continuation and an extension of the collage series presented in Book 1. 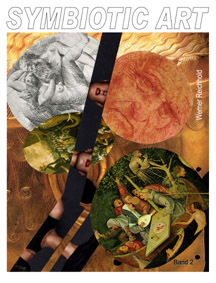 The collages in Book 2 include more social aspects important to artists during the past centuries. Also new and therefore enlarging the former aspects of collage is the integration of picture and poetry in some of the works. If you liked the first book, Band 2 will continue the surprise and delight. This issue of Ribbons contains the article, "Teika's Ten Tanka Techniques" which you can read here. This is the latest book of tanka and haiku from AHA Books with an outstanding difference! Hans-Peter Goettsche, of Berlin Germany, a friend of Werner's since their days at art school, has added his marvelous artwork. In 1990 the Pickle Family Circus came to Bower Park outside of Gualala. The poems written that day were sent to Hans-Peter and these are the drawings he made for those poems plus his own thoughts and memories of circus events he had known. 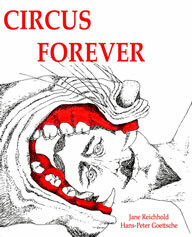 Poetry and drawings to tickle your funny bone and put a tear in your eye as you survey the human condition. 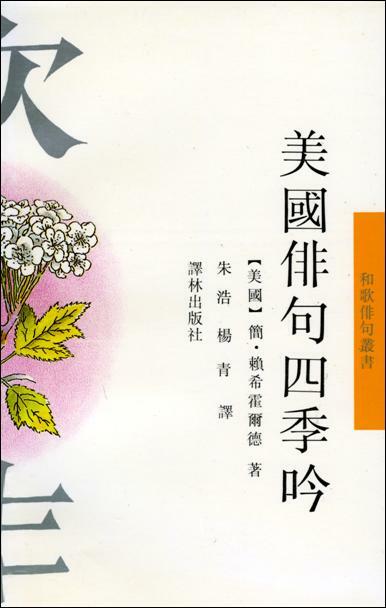 The book, White Letter Poems by Fumi Saito, has been out-of-print for several years. So as of today it is now on the web for your enjoyment. Re-reading her tanka has certainly enriched my day. I hope you will click through and read or download the poems. The copies of Twenty Years Tanka Splendor went out around the world by mail as the prizes for this year's Award winners. It contains the winning poems from 2009 and a listing of all the winners of the 20 years of this contest. In the Afterword, in the history of this contest, is the news that this is the end of this project. That is one more reason to get a copy of this book. Perfect bound, 85 pages, 5.5 x 8.5, $10 ppd from AHA Books. 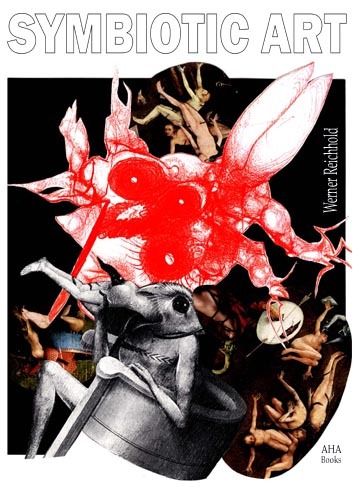 Symbiotic Art is Werner's new book of art collages. The text is in German with a preface in English..Seventy images are in full-color. Perfect bound, 96 pages, 8 x 11, $25. ppd. A wild book with wild ideas. Finally got the copies of A Film of Words! This contains all of the online version plus the play "Roar" which is an excellent deal for those of you who are interested in multi-genre collaborative writing. and will be available in the USA in the spring. is now online for your ahtumn viewing pleasure! Check it out and see if you agree with me. Saturday, June 13 - July 5. 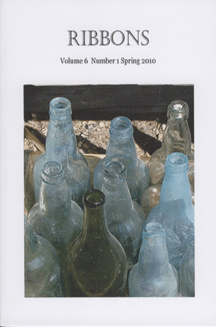 The June, 2009 issue of LYNX is now online. See you do count! Started March 26, 1996. Hey! Hey! Julie Larsen of Milwaukee, WI was visitor 100,000 at 1:44 pm on 6/25/98! AHA! 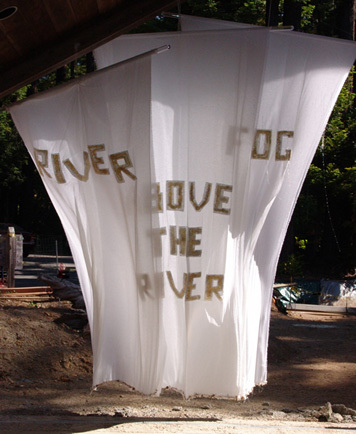 POETRY is the glove on the hand of AHA Books of Gualala, California. 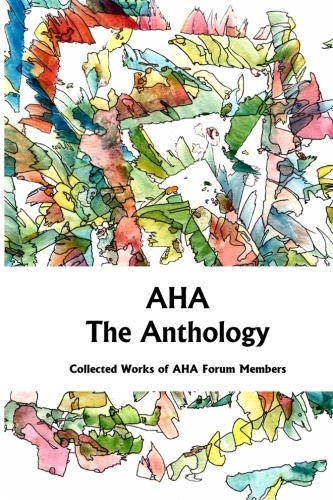 The material in AHA!POETRY is Copyright © by Jane Reichhold, 1995 - 2014. 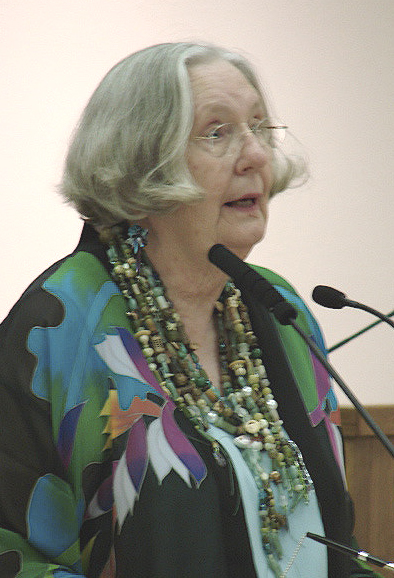 All rights of poetry by other authors remains in the copyright of the writer listed. These poets have loaned their works to AHA!POETRY for your pleasure. If you borrow a poem, please give credit to the author. If you wish to distribute the works of others, you must ask permission. AHA!POETRY appeared on the Web on December 7th, 1995, through the generosity and technical help from Carolanne Reynolds and George Pajari of Faximum -- Fax for UNIX®. The counter is courtesy of World Wide Digits. This site has been awarded a Blue Web'n by the Knowledge Resources at PacBell . And it was selected by merit to be in Poetry Month Project. Thank you. Blessed Be! The sending of any unsolicited email advertising messages to this domain will result in the imposition of civil liability in accordance with Cal. Bus. & Prof. Code Section 17538.45.